Pediatric airway management remains a significant cause for perioperative morbidity and mortality. Emergencies arising from airway complications constitute 25 to 36% of all reported anesthesia closed-claims.1-3 Of those, respiratory events are more common in children (43%) than in adults (30%), and children suffer a higher mortality rate (50% vs. 35%).1-3 Furthermore, when the airway is difficult, practitioners require specialized skills.4 Unlike in adults, the potential for a difficult airway in children can often be predicted, which provides an opportunity for preemptive planning. Thus, untimely deaths can be prevented through targeted development of anatomic knowledge, specific application of emerging technology, and advanced proficiency training and educational programs to broadly implement the specialized technique of pediatric critical airway management. At Johns Hopkins Hospital, we have created a multidisciplinary program to address pediatric airway management that includes 1) a Pediatric Difficult Airway Response Team (PDART), 2) a Pediatric Difficult Airway Consult Service (PDACS), and 3) a biannual multidisciplinary pediatric airway management educational course. Our primary goal is to create a service that will mitigate stress among providers, optimize patient safety, and eliminate morbidity associated with pediatric airway management. Pediatric anatomy and physiology present unique challenges during airway management. A larger occiput in infants and young children (< 2–3 years of age) causes neck flexion in anesthetized children leading to airway obstruction. Figure 1: Retromolar intubation using a Wis-Hipple 1 laryngoscope. The blade is placed in the right retromolar space, bypassing the tongue, and advanced until the epiglottis can be displaced anteriorly to reveal the glottis. More commonly, the pediatric difficult airway can be anticipated. Alterations to airway anatomy from genetic, embryologic, or surgical causes can complicate pediatric airway management. Genetic and craniofacial syndromes that affect the airway are well described in the literature,12 and plans can be formulated prior to induction of anesthesia. Knowing which device is optimal based on a patient’s specific airway anomaly can help with appropriate preparation. An example of devices and techniques to consider when creating multiple airway contingency plans (described as plans A, B, and C) based on specific airway conditions are shown in Table 1. Patients with these conditions need to be identified early and before respiratory distress symptoms occur. It is our practice to develop and describe airway management plans within the medical record.13 The pediatric anesthesia team is often best suited to initiate planning for and securing difficult airways should the need arise. If elective airway management is required for elective surgery, these patients should be cared for at a tertiary care facility, if possible. Though many techniques and devices have been described for difficult airway management, there is a paucity of data showing superiority. In adults, the gold standard is an awake fiberoptic intubation (FOI); however, this procedure is often not possible to perform in small children due to poor cooperation.14 Therefore, it is recommended that spontaneous ventilation be maintained during induction of anesthesia and intubation, using medications including inhalational anesthetics,5dexmedetomidine,15 propofol,16 and/or ketamine. Ensuring an adequate depth of anesthesia that prevents laryngospasm during airway manipulation while simultaneously maintaining spontaneous ventilation requires advanced skill and practice. Two common techniques to secure the airway include the use of videolaryngoscopes and FOI through a supraglottic airway (FOI-SGA). Videolaryngoscopy has been shown to improve the glottic visualization; however, the technique may increase the time to ETT insertion.17,18 Using an SGA as a conduit can allow administration of inhalational anesthesia and continuous oxygenation and ventilation, avoiding hypoxemia in the most vulnerable pediatric population. A recent observational study published from data collected via the Multicenter Pediatric Difficult Intubation (PeDI) Registry reported that overall first-attempt success rates were similar for children with a difficult airway undergoing videolaryngoscopy and those undergoing FOI-SGA, even when controlling for patient factors such as anticipated difficult airway.19 The caveat was that FOI-SGA had higher success rates with fewer incidents of hypoxia in children < 1 year of age, supporting the recommendation for continued oxygenation during intubation. A cuffed ETT should be used when securing a difficult airway in any patient, including children,20 because it can compensate for an air leak without exposing patients to risks associated with re-intubation. Facilities that care for children should prepare for these emergencies with available rescue devices and should consider developing a multidisciplinary emergency airway response team. 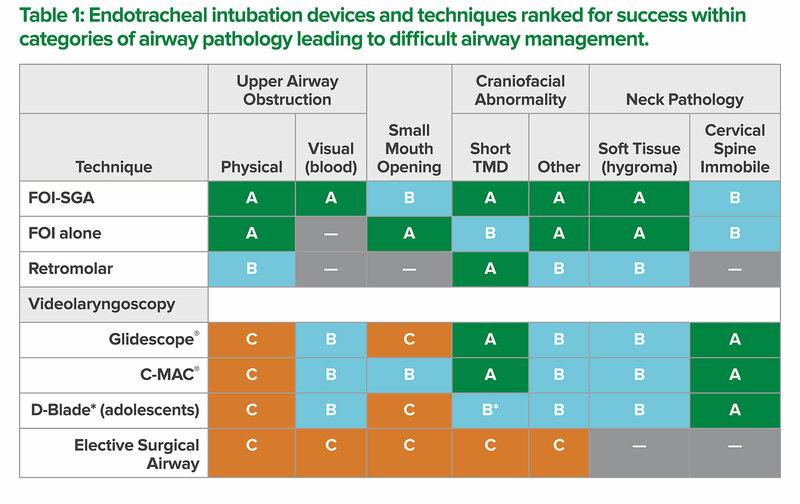 Table 1: Ranking of endotracheal intubation devices and techniques for difficult airway management in different airway pathologies. A = initial/best option; B = secondary option; C = last option; — indicates techniques unlikely to be successful or inappropriate for that airway pathology. TD, thyromental distance; FOI-SGA, fiberoptic intubation through supraglottic airway; FOI, fiberoptic intubation. *The D-blade has a sharp angled blade, decreasing the length from blade tip to handle. This device may be ideal for older children with large tongues and a short thyromental distance. We developed a multicomponent Pediatric Difficult Airway Program at Johns Hopkins Hospital that consists of a pediatric airway management course, the PDART, and the PDACS. The program was created in collaboration with a multitude of pediatric specialists to improve safety and decrease morbidity, stress, and urgency associated with airway management in children. The multidisciplinary pediatric airway course is designed to teach practitioners from all pediatric disciplines the basics of airway management, as well as advanced skills needed to manage different airway scenarios in infants and children. Since 2014, this biannual course has instructed residents and fellows, nurses, respiratory therapists, paramedics, and other clinicians who want to improve their pediatric airway management skills. After a few didactic lectures, participants practice using various ventilation and intubation devices via hands-on skill stations and engage in commonly encountered simulated scenarios. Pre- and post-learning is assessed through testing. The pediatric DART was adapted in November 2015 from the adult DART that originated at Johns Hopkins in 2008.24 This multidisciplinary team, composed of pediatric anesthesiologists, otolaryngologists, trauma surgeons, respiratory therapists, nurses, and pharmacists responds to a call when initial responders require help with airway management or a child with a difficult airway requires airway management. Pediatric anesthesiology attendings facilitate the PDART by staying in-house 24 hours per day, 7 days per week. Emergency airway backpacks are stocked and carried to each PDART call by the pediatric anesthesiologist. The backpack houses laryngoscopes, SGAs, and materials for needle cricothyrotomy. If additional equipment is needed, such as a flexible bronchoscope, patients are mobilized (if possible) to the operating room. Videolaryngoscopes and flexible videobronchscopes are kept in one location for easy access within the operating room. The PDACS was created to provide airway management plans before an at-risk patient develops respiratory distress. Consultation is made on either a routine or urgent basis. Routine consults are made for patients who have a history of difficult airway but are not experiencing any respiratory symptoms. If admitting physicians and/or nurses obtain information related to 1) difficult airway history or 2) any medical conditions that potentially alter the structure of the patient’s face or airway, an electronic page goes to the pediatric anesthesiologist to complete the consultation. Urgent consultations are made if children with a history of or potential for difficult airway management shows signs of early respiratory distress, but immediate intervention is not needed. An urgent consult is made by a direct phone call to the pediatric anesthesiologist and completed within the hour. If the patient has a difficult airway, a consultation is complete when 1) a consult note is placed in the patient’s chart, 2) “Difficult Airway” is added to the patient’s Problem List, triggering a banner alert in the patient’s medical record, 3) ventilation and intubation plans are summarized within the patient’s Problem List and hand-written at the patient’s bedside, 4) a “Difficult Airway” bracelet is placed on the patient, and 5) a “DART” identification card is placed on the patient’s hospital room door. Airway management in children, with an unanticipated difficult airway requires prior strategy implementation consisting of emergency response by expert personnel as well as specialty equipment including the SGA to be readily available. Children with an anticipated difficult airway should have structured airway management plans, labeled with appropriate alerts in the medical record, and undergo airway management by experts with extensive pediatric airway experience. Continuing education, including simulation of emergency situations, may help to maintain skills required for difficult airway management in children. More investigation is forthcoming as to whether the programs we and others have implemented reduce adverse events related to the pediatric airway. Dr. Nicholas M Dalesio is an Assistant Professor of Anesthesiology at Johns Hopkins University Medical School and is in the Department of Anesthesiology/ Division of Pediatric Anesthesiology & Critical Care Medicine. Dr. Dalesio also has an appointment in the Department of Otolaryngology/Head & Neck Surgery practicing at the Johns Hopkins Bloomberg Children’s Hospital, Baltimore, MD. Dr. Nicholas Dalesio does not have any disclosures with regards to the content of the article. Special acknowledgment to Dr. Luke Janik for serving as a guest editor of this article. Dr. Janik is a pediatric anesthesiologist at NorthShore University HealthSystem, Chicago, IL. Morray JP, Geiduschek JM, Caplan RA, et al. A comparison of pediatric and adult anesthesia closed malpractice claims. Anesthesiology 1993;78:461–467. Jimenez N, Posner KL, Cheney FW, et al. An update on pediatric anesthesia liability: a closed claims analysis. Anesth Analg 2007;104:147–153. Bhananker SM, Ramamoorthy C, Geiduschek JM, et al. Anesthesia-related cardiac arrest in children: update from the Pediatric Perioperative Cardiac Arrest Registry. Anesth Analg 2007;105:344–350. Apfelbaum JL, Nickinovich DG, Hagberg CA, et al. Practice guidelines for management of the difficult airway. Anesthesiology 2013;118:251–270. Bhananker S, Harless J, Ramaiah R. Pediatric airway management. Int J Crit Illn Inj Sci2014;4:65–67. Prakash M, Johnny JC. What’s special in a child’s larynx? J Pharm Bioallied Sci2015;7:S55–S58. Brambrink AM, Braun U. Airway management in infants and children. Best Pract Res Clin Anaesthesiol 2005;19:675–697. Coté CJ, Lerman J, Anderson B.. A practice of anesthesia for infants and children. W.B. Saunders Company; 1993; 308–9. Kleine-Brueggeney M, Gottfried A, Nabecker S, et al. Pediatric supraglottic airway devices in clinical practice: A prospective observational study. BMC Anesthesiology2017;17:119. Doherty JS, Froom SR, Gildersleve CD. Pediatric laryngoscopes and intubation aids old and new. Pediatric Anesthesia 2009;19:30–37. Fiadjoe, JE, Nishisaki, A, Jagannathan, N, et al. Airway management complications in children with difficult tracheal intubation from the Pediatric Difficult Intubation (PeDI) Registry: a prospective cohort analysis. The Lancet Respiratory 2015;4:37–48. Raj D, Luginbuehl I. Managing the difficult airway in the syndromic child. 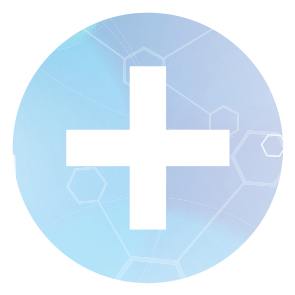 Continuing Education in Anaesthesia, Critical Care & Pain 2015;15:7–13. Marín PCE, Engelhardt T. Algorithm for difficult airway management in pediatrics. Colombian Journal of Anesthesiology 2014;42:325–334. Murphy T, Howes B. Current practice for awake fibreoptic intubation—some unanswered questions. Anaesthesia 2017;72:678–681. Mason KP, Lerman J. Review article: Dexmedetomidine in children: current knowledge and future applications. Anesth Analg 2011;113:1129–1142. Blanco G, Melman E, Cuairan V, et al. Fibreoptic nasal intubation in children with anticipated and unanticipated difficult intubation. Paediatr Anaesth 2001;11:49–53. Fiadjoe JE, Gurnaney H, Dalesio N, et al. A prospective randomized equivalence trial of the GlideScope Cobalt® video laryngoscope to traditional direct laryngoscopy in neonates and infants. Anesthesiology 2012;116:622–628. Sun Y, Lu Y, Huang Y, et al. Pediatric video laryngoscope versus direct laryngoscope: a meta-analysis of randomized controlled trials. Cote C, ed. Pediatric Anesthesia 2014;24:1056–1065. Burjek NE, Nishisaki A, Fiadjoe JE, et al. Videolaryngoscopy versus fiber-optic intubation through a supraglottic airway in children with a difficult airway: An analysis from the Multicenter Pediatric Difficult Intubation Registry. Anesthesiology2017;127:1–9. Litman RS, Maxwell LG. Cuffed versus uncuffed endotracheal tubes in pediatric anesthesia: the debate should finally end. Anesthesiology 2013; 118:500–501. Weiss M, Engelhardt T. Proposal for the management of the unexpected difficult pediatric airway. Pediatric Anesthesia 2010;20:454–464. Coté CJ, Hartnick CJ. Pediatric transtracheal and cricothyrotomy airway devices for emergency use: which are appropriate for infants and children? Paediatr Anaesth2009;19 Suppl 1:66–76. Dalesio NM, Kattail D, Ishman SL, et al. Ultrasound use in the pediatric airway. A & A Case Reports 2014;2:23–26. Mark LJ, Herzer KR, Cover R, et al. Difficult airway response team. Anesth Analg2015;121:127–139.